Milly Scott (1935) is recognised as the first black singer to take part in the Eurovision Contest. She is a Dutch singer and actress of Surinamese origin and represented The Netherlands in the 1966 Eurovision Song Contest. Scott had built up a career as a successful nightclub jazz singer, which led to her being given her own TV show, Scott in de Roos, in 1965. 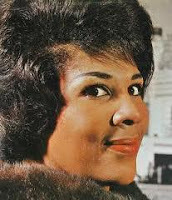 As a result, in 1966, she was given the chance to take part in the Dutch Eurovision selection, where her song "Fernando en Filippo" was a clear winner. Scott went forward to the 11th Eurovision Song Contest, held in Luxembourg City on 5 March, where "Fernando en Filippo" ended the evening in 15th place of 18 entries with votes only from the UK and Ireland, continuing a run of poor Dutch results dating back to 1960. Although "Fernando en Filippo" was something of a novelty song (and was performed as such) at a time when ballads dominated Eurovision, Scott would subsequently claim controversially that her disappointing result was attributable, at least in part, to racism on the part of the voting jurors. On her website she writes. “People didn’t realize I was the first black singer who took part in the contest. The Netherlands was reasonably "accustomed" to people of colour, but many other countries outside Holland absolutely not. The exceptions were Britain and Ireland, from each of them I got one point (so two points total), from the rest I got ZEROS. Scott was born in 1935 in Den Helder in the Netherlands as Marion Henriette Louise Molly.